First of all, I would like to thank you for your interest in considering Portugal as a possible destination for your investment project. Over the past few years, our country has proved to be a prime location to invest, do business and live. As an investment destination, its success is based on the country’s positive approach towards business development and attracting foreign investment. This approach has ensured a favorable business environment, making us an excellent location within the west coast of Europe: we have strategic access to markets, competitive operational costs, pro-active reforms, a network of modern infrastructure, a commitment to education and science, and flexible, dedicated and competent human resources. Having established the above, I am pleased to present this Investor’s Guide, which offers brief but systematized information on how to invest in Portugal, taking into account, among other things, legal parameters, making access to the Portuguese market easier. Provided that AICEP’s clients are large companies (with an annual turnover of an estimated € 75 million or investment projects over € 25 million) looking for investment opportunities, this guide aims to summarize the relevant information for the investors who meet these requirements and want to consider Portugal as a potential investment destination. Thus, this document presents an overview of the country and the investment requirements, including procedures related to legal matters, labor, taxes, among others. Please do not hesitate to contact AICEP. We will be happy to provide more detailed information and assistance to meet the specific needs of your company and to serve as a first point of contact in the process of investment in our country. 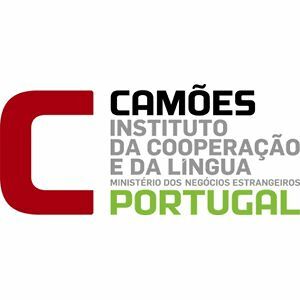 We look forward to welcoming you to Portugal and invite you to discover a country full of opportunities.